Q: What is Remi or Remy (which spelling is correct) hair and are there variations of it? A: Both spellings are used, although the most common spelling of the term is "Remy". Remy hair is usually Indian in origin. 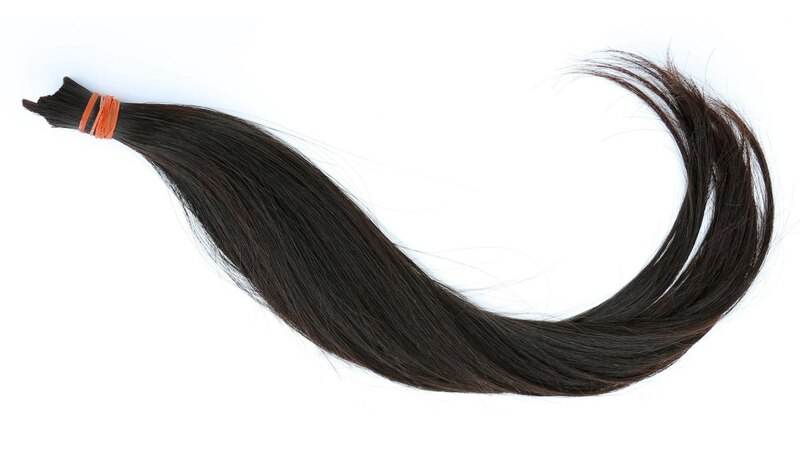 Remy hair is a term that refers to human hair that has been harvested from the scalp in such a manner as to keep the cuticle pointed in the same direction as the hairs next to it. In other common hair-harvesting methods for wig and extension making, the hair is simply shorn from the head and bagged up with no regard for the way the cuticle layers of the hair shafts are aligned. Since hair whose cuticle layers are running in opposite directions tends to become tangled and knotted together, this haphazardly harvested hair must be chemically processed to remove the cuticle layer from the hair shaft in order to have fibers that can be used in making extensions, wigs and hair-pieces. The result is an inexpensive product, but one that lacks the strength and versatility of unprocessed hair fibers. What type of hair extensions are the cheapest but are human hair? What is the estimate of how many hair extension strands you lose per week?